Sapphires make a great alternative to a diamond if you are looking to do something different with your engagement ring. 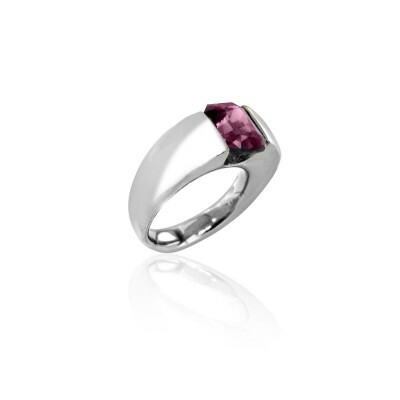 This ring incorporates a purple sapphire into a contemporary platinum setting. The result is an organic, interesting form.